Annika Sorenstam of Sweden hosting a clinic at FBMLO last year. 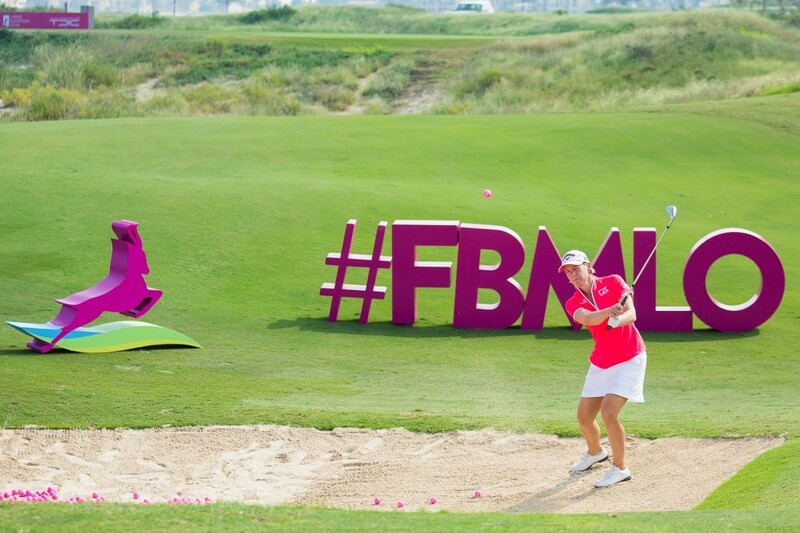 There is only one week to go until the Fatima Bint Mubarak Ladies Open (FBMLO) gets underway at the iconic Saadiyat Beach Golf Club in Abu Dhabi. Held for the second year under the patronage of the Mother of the Nation, Her Highness Sheikha Fatima Bint Mubarak, this year’s four-day tournament will take place from next Wednesday November 1 — Saturday November 4. This year’s tournament has already attracted a stellar line-up and it has now been confirmed that two Swedish protégées are set to join the player roster as Annika Sörenstam’s wildcard picks. Teenagers Amanda Linnér and Julia Engström have both been selected to play and will be hoping to make their own respective break-outs during the four-day tournament. Linnér recently prevailed at the 2017 ANNIKA Invitational Europe after birdieing the final hole to force a dramatic play-off conclusion. She is currently ranked 4th in the amateur European Golf Rankings and 19th in the World Amateur Golf Rankings, and is regarded as one of the top young players in the world. Engström made her Ladies European Tour debut when she was only 13 years old at the 2014 Helsingborg Open. At the age of 15, she became the youngest ever winner of the Ladies’ British Open Amateur Championship and is currently ranked 6th in the World Amateur Golf Ranking and competed for Europe in the 2017 PING Junior Solheim Cup alongside Linnér. Sörenstam believes it will be an incredible experience for the two youngsters, saying: “Amanda and Julia have played well in recent months. I am thrilled that they will have the opportunity to travel to Abu Dhabi to compete in this wonderful LET event, which I was delighted to help launch last year. This year’s tournament is focused on family and community, with a range of fun activities, food trucks and entertainment as well as world-class golf, making it a perfect day out for all the family, and a great opportunity for youngsters to get into golf and other sports. Golfing fun includes a bespoke crazy golf course, chipping challenge, the region’s first-ever ‘paint golf’, and introductory beginners’ sessions, with other sports covered by the FIFA Club World Cup fan zone, and sessions from Abu Dhabi Cricket, and Troon Fit. Entry is free for all and the organisers hope that friends and families will be encouraged to attend, as part of their efforts to grow the game of golf in the UAE, especially amongst females, and increasing participation in sport, health and fitness across the board. Over the four-day period, 126 players will compete for a total prize purse of $550,000. The opening two days will see the first rounds taking place before the cut at the end of the second day, where the player count is halved. The event is free to attend and ticket registration and more information is available at www.FBMLadiesOpen.com. Visitors can also register on the gate. Last year's winner, Jordan Smith. 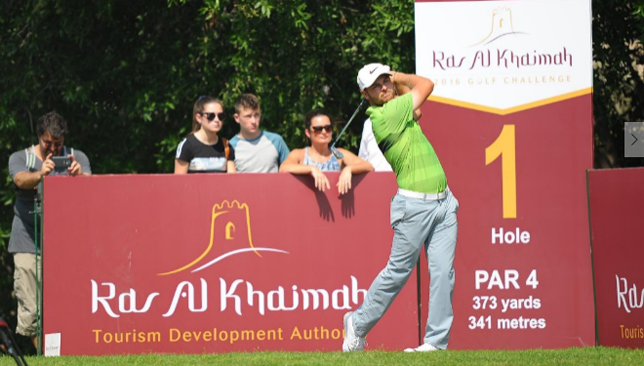 As the next batch of up-and-coming and experienced stars descend on the UAE for the Ras Al Khaimah Golf Challenge, one man who knows the course at Al Hamra Golf Club better than most is Andrew Matthews. As head of golf at the club, he’s been putting the final touches to the stunning 18-hole Peter Harradine-designed course that will see a mix of some of the sport’s best players do battle over the next four days. Among the 105 golfers to tee off tomorrow include emerging global talents, MENA Tour hopefuls, the UAE’s best professional and amateur players as well as multiple European Tour winners – Tano Goya, Sweden’s Mikael Lundberg and 2011 Alfred Dunhill Links Championship winner Michael Hoey. They will all be aiming to follow in the footsteps of Jordan Smith, who won last year and recorded his first triumph on the big stage at the Porsche European Tour in July. 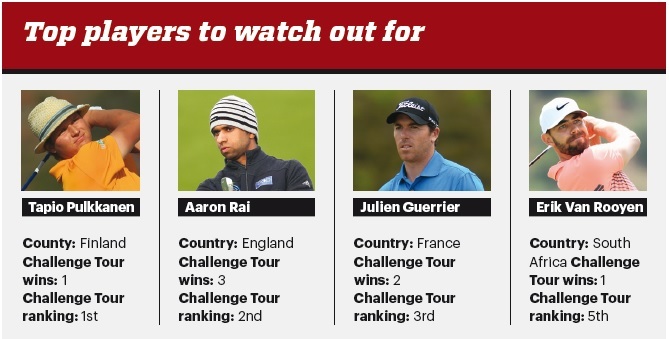 Considering it’s the penultimate event of the European Challenge Tour ahead of next weekend’s finale in Oman, the European Tour veterans have their work cut out with a host of in-form Challenge Tour players seeking to break into the continent’s elite field next season. Finland’s Tapio Pulkkanen finds himself at the top of the rankings with a healthy 40,000-plus point lead but the 27-year-old faces a stern task in getting his second win of the season with the top 10 players competing in the Emirate. Matthews feels the strong field will produce a closely-fought competition on the greens but their cause will not be helped with some adjustments, forcing players to rethink their strategies on some holes. “The players will notice this year that what is different to last is that the rough is thicker,” he said. “We have thickened up the rough on the request of the European Tour themselves to try and make it a little bit tougher. “We have also added a new tee box on hole 16. We have added 28 yards of length, which really brings the bunker out on the left hand side this year. Matthews gave a strong hint when suggesting anyone who wants to go far would need to sharpen up on their tee-shots. “The driver is a fairly wide space for the guys but if they do get in the rough, they will struggle,” he said. “The longer hitters are going to benefit and really should be working on their driver shots. 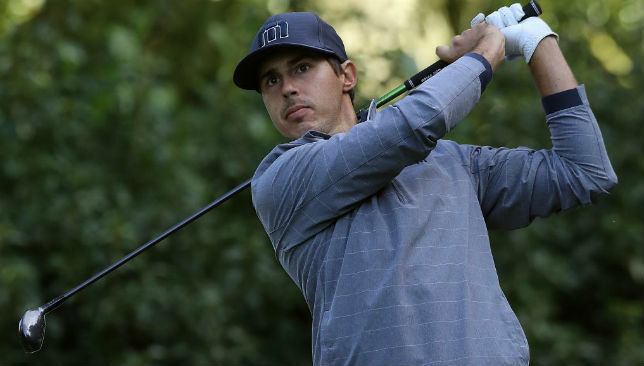 While those changes to the course will certainly make things interesting for the spectators, Matthews expects the golfers to raise their game over the four rounds. “It will be even more interesting this week,” he said. “It’s the penultimate event and everyone’s trying to get into the final event in Oman. Matthews feels American Chase Koepka, younger brother of US Open champion Brooks, who is sixth in the rankings, will be the player to watch. There will be no shortage of entertainment options when the Ras Al Khaimah Golf Challenge tees off at Al Hamra Golf Club on Wednesday. Running until Saturday, the free admission tournament will play host to a number of future stars of the game. Off the field there’s plenty to look forward to as well, with the Fan Village including a lively Oktoberfest Garden. It will also feature bouncy castles, arts and crafts, face painting and sand art, as well as food trucks and live music entertainment. The Oktoberfest Garden features chefs from Al Hamra’s Bay Sports Bar, who will be grilling German sausages and other mouth-watering dishes in the BBQ, plus three separate beverage stands. On Friday, once the last putt is holed, the action switches to Jebel Jais where there will be an open-air classical music concert, dubbed the UAE’s best musical performance. Vivaldianno, City of Mirrors – a 3D spectacular light and music show featuring a live Czech orchestra, is also on the schedule. Tickets for the one off performance start at Dh300 and are available through Virgin Tickets and Platinum List. There will also be the opportunity for spectators and visitors to spend time in the other restaurants at Al Hamra Village — Ladies Night is on Thursday in the Bay Sports Bar, while there is a fish and chips night in Marina Muse, followed by a Boardwalk Brunch in Marina Muse on Friday. Benoy Kurien, general manager at Al Hamra Real Estate, believes there’s plenty of reasons to visit, even if you’re not a fan of golf. He said: “We want to introduce golf into a multicultural environment, bringing it to the wider community and making the event one for all ages to enjoy, with an array of activities for the kids and plenty to keep the adults entertained too.